Politically, the Marxist–Leninist communist party is the vanguard for the organisation of a capitalist society into a socialist society, which is the lower stage of socio-economic development, and progress towards the upper-stage communist society, which is stateless and classless; yet features organised public-ownership of the means of production, accelerated industrialisation, pro-active development of the productive forces of society, and nationalised natural resources. In the late 1920s, after the death of Lenin, Stalin established universal ideologic orthodoxy among the Communist Party, the USSR, and the Communist International, with his coinage Marxism–Leninism, a term which redefined theories of Lenin and Marx to establish universal Marxist–Leninist praxis for the exclusive, geopolitical benefit of the USSR. In the late 1930s, Stalin's official textbook The History of the Communist Party of the Soviet Union (Bolsheviks) (1938), made the term Marxism–Leninism common, political-science usage among communists and non-communists. Critical of Stalin's political economy and single-party government in the USSR, the Italian Left-communist Amadeo Bordiga said that Marxism–Leninism was a form of political opportunism, which preserved rather than destroyed capitalism, because of the claim that the exchange of commodities would occur under socialism; and the use of popular front organisations by the Communist International; and that a political vanguard organised by organic centralism was more effective than a vanguard organised by democratic centralism. The American Marxist Raya Dunayevskaya dismissed Marxism–Leninism as a type of state capitalism because: (i) state ownership of the means of production is a form of state capitalism; (ii) the dictatorship of the proletariat is a form of democracy, and single-party rule is undemocratic, and (iii) Marxism–Leninism is neither Marxism nor Leninism, but a composite ideology that Stalin used to expediently determine what is communism and what is not communism among the Eastern bloc. In 1929, within five years of the death of Lenin, Stalin was the Government of the Soviet Union, a ruler who flouted, abided, and applied the socialist principles of Lenin and Marx as political expediencies used to realise his plans for the USSR and for world socialism; most of which contradicted Lenin's plans for establishing socialism. Stalin justified his régime's deviations from Lenin's practices with the book Concerning Questions of Leninism (1926), in which Stalin represented Marxism–Leninism as a separate communist ideology, which featured an omniscient leader, hierarchies of one global communist party and communist vanguard parties in each country of the world. Stalin's interpretations of Lenin and Marx became Stalinism, the official state ideology of the Soviet Union. As the Left Opposition to Stalin within the Communist Party and the Soviet government, Leon Trotsky and the Trotskyists argued that Stalin's Marxist–Leninist ideology contradicted Marxism and Leninism in theory and in practice, and thus was illegitimate socialist philosophy for the practical implementation of Socialism in Russia. Moreover, within the Party, the Trotskyists identified their communist ideology as Bolshevik–Leninism (Trotskyism), to politically differentiate their ideology from the ideology Stalin used to justify and implement his theory of Socialism in One Country (1924). In Marxist political discourse the term Marxism–Leninism, denoting and connoting the theory and praxis of Stalinism, has two usages: (i) praise of Joseph Stalin, by Stalinists who believe Stalin successfully developed Lenin's legacy; and (ii) criticism of Stalin, by Stalinists who repudiate Stalin's political purges, social-class repressions, and bureaucratic terrorism. Consequent to the Sino-Soviet split (1956–1966), in each socialist country, the Communist Party of China (CPC) and the Communist Party of the Soviet Union (CPSU) each claimed to be the sole heir-and-successor to Stalin, regarding the correct interpretation of Marxism–Leninism, and thus ideological leader of world communism. In that vein, the History of the People's Republic of China represents Maoism (urban Marxism–Leninism adapted to pre-industrial China) as Mao Zedong's fundamental up-dating and adaptation of Leninism to Chinese conditions, in which revolutionary praxis is primary and ideologic orthodoxy is secondary; and the Thought of Mao Zedong became the official state ideology of the PRC. The Sino-Albanian split (1972–1978) was caused by Socialist Albania's rejection of the PRC's Realpolitik of Sino–American rapprochement, specifically the Mao–Nixon meeting (1972), which the anti-revisionist Albanian Labor Party perceived as an ideological betrayal of Mao's own Three Worlds Theory, which excluded such political relations of rapprochement. To the Albanians, the Chinese dealings with the U.S. were a lessening of Mao's ideologic and practical commitments to proletarian internationalism. Enver Hoxha, the head of the Albanian Labor Party, theorised an anti-revisionist Marxism-Leninism referred to as Hoxhaism, which attempted to retain an 'authentic' socialism in comparison to the post-Stalinist Soviet Union. As revolutionary praxis, Maoism is the ideology of communist parties philosophically akin to the Communist Party of China. Since the death of Mao Zedong, in 1976, the Shining Path (Sendero Luminoso) Communist Party of Peru coined the term Marxism–Leninism–Maoism to identify the contemporary Marxism that is readily adaptable to local conditions in the countries of Third-world South America. In the one-party Marxist–Leninist state, the Communist Party is the political vanguard who guides the working class and the proletariat in establishing the foundations (social, economic, cultural) of a socialist society, which is realised with two-stage revolutionary development: (i) from a capitalist state to a socialist state, and (ii) from a socialist society to a communist society, which has no social stratification and no institutional sexism, where men and women work and consume according to their abilities and needs. The socialist society is instituted and governed through the dictatorship of the proletariat to define and decide, implement and realise policy through democratic centralism; and government offices are peopled by election at the local, regional, and national levels, usually direct election; however, indirect election also features in the Marxist–Leninist practices of Red China, Communist Cuba, and Socialist Yugoslavia (1943–1992). The goal of Marxist–Leninist political economy is the emancipation of men and women from the dehumanisation caused by mechanistic work that is psychologically alienating (without work–life balance), which is performed in exchange for wages that give limited financial-access to the material necessities of life (i.e. food and shelter). That personal and societal emancipation from poverty (material necessity) would maximise individual liberty, by enabling men and women to pursue their interests and innate talents (artistic, intellectual, industrial, etc.) whilst working by choice, without the economic coercion of poverty. In the communist society of upper-stage economic development, the elimination of alienating labour (mechanistic work) depends upon the developments of high technology that improve the means of production and the means of distribution. To meet the material needs of a socialist society, the Marxist–Leninist state uses a planned economy to co-ordinate the means of production and of distribution to supply and deliver the goods and services required throughout society and the national economy. The wages of the worker are determined according to the type of skills and the type of work he or she can perform within the national economy. Moreover, the economic value of the goods and services produced is based upon their use value (as material objects) and not upon the cost of production ("value") or the exchange value (marginal utility). In the 1920s, the Bolshevik government's economic development realised the rapid industrialisation of the Soviet Union with pragmatic programs of social engineering that transplanted peasant populations to the cities, where they were educated and trained as industrial workers, and then became the workforce of the new factories and industries. Likewise, the farmer populations worked the system of collective farms to grow food to feed the industrial workers in the industrialised cities. Hence, in the 1930s, the Marxist–Leninist society of Russia featured austere social-equality, based upon asceticism, egalitarianism, and self-sacrifice — yet the Bolshevik Party recognised human nature, and semi-officially allowed some limited, small-scale capitalism to stimulate the economy of the Soviet Union. In Orthodox Marxism, the socialist society originally was equivalent to the communist society; yet, in the economic praxis of Bolshevik Russia, in defining the differences of political economy, between socialism and communism, Lenin explained their conceptual similarity to Marx's descriptions of the lower-stage and the upper-stage of economic development. That immediately after a proletarian revolution, in the socialist lower-stage society, the practical economy must be based upon the individual labour contributed by men and women; that paid labour would be the basis of the communist upper-stage society that has realised the social precept of the slogan: From Each According to His Ability, to Each According to His Need. To develop a communist society, the Marxist–Leninist state provides for the national welfare with universal healthcare, free public education (academic, technical, professional), and the social benefits (childcare, continuing education, etc.) necessary to increase the productivity of the workers, and thus the socialist economy. As part of the planned economy, the welfare state is meant to develop the proletariat's education (academic and technical) and their class consciousness (political education) to facilitate their contextual understanding of the historical development of communism, as presented in Marx's theory of history. The judicial reformation of family law eliminates patriarchy from the legal system, which facilitates the political emancipation of women from traditional social inferiority and economic exploitation. The reformation of civil law made marriage secular, into a "free and voluntary union", between persons who are social-and-legal equals; facilitated divorce; legalized abortion, eliminated bastardy ("illegitimate children"); and voided the political power of the bourgeoisie and the private property-status of the means of production. The educational system imparts the social norms for a self-disciplined and self-fulfilling way of life, by which the socialist citizens establish the social order necessary for realizing a communist society. Marxist–Leninist cultural policy modernises social relations among citizens by eliminating the capitalist value system of traditionalist conservatism, by which Tsarism classified, divided, and controlled people with stratified social classes without any socio-economic mobility. The socio-cultural changes required for establishing a communist society are realised with education and agitprop (agitation and propaganda), which reinforce communal values. The modernisation of educational and cultural policies eliminates the societal atomisation — anomie and social alienation — caused by cultural backwardness; thus Marxism–Leninism develops the New Soviet man, an educated and cultured citizen possessed of a proletarian class consciousness who is oriented towards the social cohesion necessary for developing a communist society. The Marxist–Leninist world view is atheist, wherein all human activity results from human volition, and not the will of supernatural beings (gods, goddesses, and demons) who have direct agency in the public and private affairs of human society. 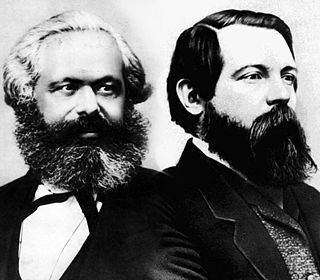 The tenets of the Soviet Union's national policy of Marxist–Leninist atheism originated from the philosophies of Georg Wilhelm Friedrich Hegel (1770–1831) and Ludwig Feuerbach (1804–1872), and of Karl Marx (1818–1883) and Lenin (1870–1924). As a basis of Marxism–Leninism, the philosophy of materialism (the physical universe exists independently of human consciousness) is applied as dialectical materialism (a philosophy of science and Nature) to examine the socio-economic relations among people and things, as parts of a dynamic, material world that is unlike the immaterial world of Metaphysics. The Soviet astrophysicist Vitaly Ginzburg said that, ideologically, the "Bolshevik communists were not merely atheists, but, according to Lenin's terminology, militant atheists" in excluding religion from the social mainstream, from education, and from government. The Marxist–Leninist approach to international relations derives from the analyses (political and economic, sociological and geopolitical) that Lenin presented in the essay Imperialism, the Highest Stage of Capitalism (1917). Extrapolating from five philosophical bases of Marxism — (i) that human history is the history of class struggle, between a ruling class and an exploited class; (ii) that capitalism creates antagonistic social classes: the bourgeois exploiters and the exploited proletariat; (iii) that capitalism employs nationalist war to further private economic expansion; (iv) that socialism is an economic system that voids social classes through public ownership of the means of production, and so will eliminate the economic causes of war; and (v) that once the state (socialist or communist) withers away, so shall international relations wither away, because they are projections of national economic forces — Lenin said that the capitalists' exhaustion of domestic sources of investment profit, by way of price-fixing trusts and cartels, then prompts the same capitalists to export investment capital to undeveloped countries to finance the exploitation of natural resources and the native populations, and to create new markets. That the capitalists' control of national politics ensures the government's military safeguarding of colonial investments, and the consequent imperial competition for economic supremacy provokes international wars to protect their national interests. In the vertical perspective (social-class relations) of Marxism–Leninism, the internal and international affairs of a country are a political continuum, not separate realms of human activity, which is the philosophic opposite of the horizontal perspectives (country-to-country) of the liberal and the realist approaches to international relations. Therefore, colonial imperialism is the inevitable consequence in the course of economic relations among countries when the domestic price-fixing of monopoly capitalism has voided profitable competition in the capitalist homeland. As such, the ideology of New Imperialism — rationalised as a civilising mission — allowed the exportation of high-profit investment capital to undeveloped countries with uneducated, native populations (sources of cheap labour), plentiful raw materials for exploitation (factors for manufacture), and a colonial market to consume the surplus production, which the capitalist homeland cannot consume; the example is the European Scramble for Africa (1881–1914), which imperialism was safeguarded by the national military. To secure the colonies — foreign sources of new capital-investment-profit — the imperialist state seeks either political or military control of the limited resources (natural and human); the First World War (1914–1918) resulted from such geopolitical conflicts among the empires of Europe over colonial spheres of influence. 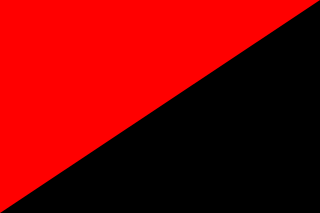 For the colonised working classes who create the wealth (goods and services), the elimination of war for natural resources (access, control, and exploitation) is resolved by overthrowing the militaristic capitalist state and establishing a socialist state, because a peaceful world economy is feasible only by proletarian revolutions that overthrow systems of political economy based upon the exploitation of labour. 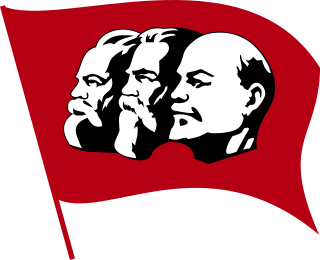 The philosophy of Marxism–Leninism originated as the pro-active, political praxis of the Bolshevik (Majority) faction of the Russian Social Democratic Labour Party (RSDLP) in realising political change in Tsarist Russia. Lenin's leadership transformed the Bolsheviks into the RSDLP's political vanguard, which was composed of professional revolutionaries who practised democratic centralism to elect leaders and officers, and to determine policy through free discussion, then decisively realised through united action. The vanguardism of pro-active, pragmatic commitment to achieving revolution was the Bolsheviks' advantage in out-manoeuvring the Liberal and Conservative political parties who advocated social democracy without a practical plan of action for the Russian society they wished to govern; thus, Leninism allowed the Bolshevik Party to assume command of the October Revolution, in 1917. Twelve years before the October Revolution in 1917, the Bolsheviks had failed to assume control of the February Revolution of 1905, because the centres of revolutionary action were too far apart for proper political co-ordination. To generate revolutionary momentum — from the Tsarist army's killings on Bloody Sunday (22 January 1905) — the Bolsheviks advocated that workers use political violence to compel the bourgeois social classes (the nobility, the gentry, the bourgeoisie) to join the proletarian revolution to overthrow the absolute monarchy of the Tsar of Russia. Despite secret-police persecution by the Okhrana (Department for Protecting the Public Security and Order), émigré Bolsheviks returned to Russia to agitate, organise and lead; and then returned to exile when revolutionary fervour failed in 1907. The failure of the February Revolution (1905–1907) exiled the Bolsheviks and the Mensheviks, the Socialist Revolutionaries and the Black Guard anarchists from Russia — a political defeat aggravated by Tsar Nicholas II's political reformations of imperial Russian government. In practice, the formalities of political participation — the State Duma, the political plurality of a multi-party system of elections; and the Russian Constitution of 1906 — were the Tsar's piecemeal and cosmetic concessions to social progress, which allowed public-office only the aristocracy, the gentry, and the bourgeoisie; but did not practically resolve the illiteracy, poverty, and malnutrition of the proletarian majority of Russia. In Swiss exile, Lenin developed Marx's philosophy and extrapolated decolonisation, by colonial revolt, as a reinforcement of proletarian revolution in Europe. In 1912, Lenin resolved a factional challenge to his ideological leadership of the RSDLP by the Forward Group in the party, by usurping the all-party congress to transform the RSDLP into the Bolshevik Party. As promised to the Russian peoples in October 1917, the Bolsheviks quit Russia's participation in the Great War, on 3 March 1918; unlike the European socialists who chose bellicose nationalism to anti-war internationalism; the philosophic and political break was consequence of the Internationalist–defencist schism among Socialists. That nationalist betrayal of socialism was denounced by a small group of socialist leaders who opposed the Great War, including Rosa Luxemburg, Karl Liebknecht, and Lenin, who said that the European socialists had failed the working classes, for preferring patriotic war to proletarian internationalism. To debunk patriotism and national chauvinism, in the essay Imperialism, the Highest Stage of Capitalism (1917), Lenin explained that capitalist economic expansion leads to colonial imperialism, which then is regulated with nationalist wars — such as the Great War among the empires of Europe. Late in 1917 — to relieve strategic pressures from the Western Front (4 August 1914 – 11 November 1918) — Imperial Germany impelled the withdrawal of Imperial Russia from the war's Eastern Front (17 August 1914 – 3 March 1918) by sending Lenin and his Bolshevik cohort in a diplomatically-sealed train to realise socialist revolution in Russia. In March 1917, the abdication of Tsar Nicholas II led to the Russian Provisional Government (March–July 1917), who then proclaimed the Russian Republic (September–November 1917). Later, in the October Revolution, the Bolshevik's coup d'état against the Provisional Government resulted in their establishment of the Russian Soviet Federative Socialist Republic (1917–1991); yet parts of Russia remained occupied by the counter-revolutionary White Movement of anti-communists who had united to form the White Army to fight the Russian Civil War (1917–1922) against the Bolshevik government. Despite the White–Red civil war, Russia remained a combatant in the Great War (1914–1918), which the Bolshevik's had quit with the Treaty of Brest-Litovsk (3 March 1918), which then provoked the Allied Intervention to the Russian Civil War (1918–1925) by the armies of seventeen countries, featuring Great Britain, France, and Italy, the United States and Imperial Japan. In 1918, the Bolsheviks consolidated government power by expelling the Mensheviks and the Socialist Revolutionaries from the soviets. The Bolshevik government then established the Cheka secret police to eliminate anti–Bolshevik opposition in all the Russias. Initially, there was strong opposition to the Bolshevik régime, because they had not resolved the food shortages and material poverty of the Russian peoples, as promised in October 1917; from that social discontent, the Cheka reported 118 uprisings, including the Kronstadt rebellion (7–17 March 1921). The Bolshevik government introduced limited nationalisation of the means of production, which had been private property of the Russian aristocracy during the Tsarist monarchy. To fulfil the promised redistribution of Russia's arable land, Lenin encouraged the peasantry to reclaim their farmlands from the aristocrats and so ensured the peasantry's political loyalty to the Bolshevik Party. In mid-1918, to overcome the civil war's economic interruption, the War Communism policy featured a regulated market, state-control of the means of distribution and the Decree on Nationalisation of large-scale farms, which requisitioned grain to feed industrial workers in the cities and the Red Army in the field, all while fighting the White Army, who was seeking to re-establish the Romanov dynasty as absolute monarchs of Russia. Politically, the forced grain-requisitions discouraged peasants from farming, which resulted in reduced-harvests and food-shortages, which in turn provoked labour strikes and food riots. With the economic chaos—caused by the Bolshevik government's voiding the monetary economy—the Russian people replaced with barter and the black market. In 1921, the New Economic Policy restored some private enterprise to animate the Russian economy. As part of Lenin's pragmatic compromise with external financial interests in 1918, Bolshevik state capitalism temporarily returned 91 per cent of industry to private ownership—until the Soviet Russians learned to operate and administrate said industries. In that vein, Lenin explained that developing socialism in Russia would proceed according to the material and socio-economic conditions of Russia and not as described by Marx in the 19th century. Lenin's pragmatic explanation was the following: "Our poverty is so great that we cannot, at one stroke, restore full-scale factory, state, socialist production". To overcome the lack of educated Russians who could operate and administrate industry, Lenin advocated the development of a technical intelligentsia who would propel the industrial development of Russia to self-sufficiency. The principal obstacles to Russian economic development and modernisation were great material poverty and the lack of modern technology, which conditions orthodox Marxism considered unfavourable to communist revolution; and that agricultural Russia was right for developing capitalism, but wrong for the development of socialism. The 1921–1924 period was tumultuous in Russia, with the simultaneous occurrence of economic recovery, famine (1921–1922) and a financial crisis (1924). By 1924, the Bolshevik government had achieved much economic progress and by 1926 the production levels of the Soviet Union's economy had risen to the production levels registered in 1913. Elsewhere, the successful October Revolution in Russia facilitated communist revolution in Imperial Germany and in Hungary during the 1918–1920 period. 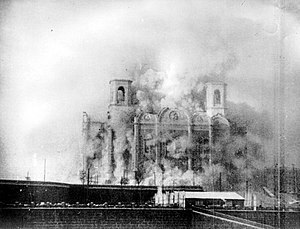 In Berlin, the German government and their Freikorps mercenaries fought and defeated the Spartacist uprising (4–5 January 1919), which began as a general strike; and likewise, in Munich the local Freikorps fought and defeated the Bavarian Soviet Republic (April 1919). In Hungary, the workers proclaimed the Hungarian Soviet Republic (March–August 1919), which was defeated by the royal armies of the Kingdom of Romania and the Kingdom of Yugoslavia and the army of Czechoslovakia. In Asia, a successful Mongolian communist revolution established the Mongolian People's Republic (1924–1992). In his political testament (December 1922), Lenin ordered Stalin removed from being the General Secretary of the Russian Communist Party, and that he be replaced with "some other person who is superior to Stalin only in one respect, namely, in being more tolerant, more loyal, more polite, and more attentive to comrades." At his death on 21 January 1924, Lenin's testament was read aloud to the Central Committee, but enough members believed that Stalin had been politically rehabilitated in 1923, and ignored Lenin's order to remove Stalin as General Secretary of the Communist Party. Consequent to personally spiteful disputes about the praxis of Leninism, the October Revolution veterans Lev Kamenev and Grigory Zinoviev said that the true, ideological threat to the ideological integrity of the Communist Party was Trotsky, who was a personally charismatic political-leader; the commanding officer of the Red Army in the Russian Civil War; and revolutionary partner of the dead Lenin. To thwart Trotsky's likely election to head the Communist Party, Stalin, Kamenev, and Zinoviev formed a Troika (Triumvirate) that featured Stalin as General Secretary of the Communist Party, the de facto centre of power in the party and the country. The direction of the Russian Communist Party was decided in confrontations of politics and personality — between Stalin's Troika and Trotsky — over which Marxist policy to pursue, either Trotsky's policy of permanent revolution or Stalin's policy of Socialism in One Country. To politically isolate and oust Trotsky from the Party, Stalin expediently advocated socialism in one country, a policy to which he was indifferent. In 1925, the 14th Communist Party Congress chose Stalin's policy, which decision defeated Trotsky as a possible leader of the Communist Party and of the Soviet Union. In the 1925–1927 period, Stalin dissolved the Troika and disowned the centrist moderates, Kamenev and Zinoviev, for an expedient alliance with the three most-right-wing opportunists from the Bolshevik period: Alexei Rykov (Premier of Russia, 1924–1929; Premier of the Soviet Union, 1924–1930), Nikolai Bukharin, and Mikhail Tomsky (leader of the All-Russian Central Council of Trade Unions). In 1927, the Communist Party endorsed Stalin's policy of Socialism in One Country as the Soviet Union's national policy, and expelled the leftist Trotsky and the centrists Kamenev and Zinoviev from the Politburo of the Communist Party of the Soviet Union. In 1929, Stalin personally and politically controlled the CPSU and the Soviet Union, by way of deception and administrative acumen. In that time, Stalin's centralised, socialism-in-one-country régime had negatively associated Lenin's revolutionary Bolshevism with Stalinism — government by command-policy to realise projects, such as the rapid industrialisation of cities and the collectivisation of agriculture; such Stalinism also subordinated the interests (political, national, ideologic) of Asian and European communist parties to the geopolitical interests of the Soviet Union. In the 1929–1932 period of the first five-year plan, Stalin effected the dekulakization of the farmlands of the Soviet Union, a politically radical dispossession of the kulak class of peasant-landlords from the Tsarist social order of monarchy. As old-school Bolshevik revolutionaries, Bukharin, Rykov, and Tomsky recommended amelioration of the dekulakization, to lessen the negative social impact in the relations between the Soviet peoples and the CPSU; Stalin took umbrage, and then accused them of un-communist philosophic deviations from Lenin and Marx. That implicit accusation of ideological deviationism licenced Stalin to falsely accuse Bukharin, Rykov, and Tomsky of plotting against the CPSU; the appearance of impropriety then compelled the resignations of the Old Bolsheviks from government and from the politburo. Stalin then completed his political purging of the Communist Party by exiling Trotsky from the Soviet Union in 1929; afterwards, In the political opposition to the practical régime of Stalinism was denounced as Trotskyism (Bolshevik–Leninism), a deviation from Marxism–Leninism, the state ideology of the Soviet Union. In the 1929–1941 period, Stalin's elimination of Bolshevik rivals ended democratic centralism in the Communist Party, replaced with his personal authority. The ranks and files of the CPSU were populated with members from the trade unions and the factories, whom Stalin controlled because there were no other Bolsheviks to contradict Marxism–Leninism, Stalin's version of Communism. 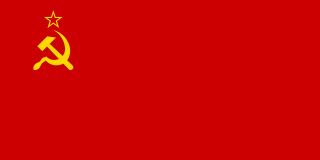 In the late 1930s, the Soviet Union adopted the 1936 Soviet Constitution, which ended weighted-voting preferences for workers, promulgated universal suffrage for every man and woman older than 18 years of age, and organised the soviets (councils of workers) into two legislatures: (i) the Soviet of the Union (representing electoral districts) and (ii) the Soviet of Nationalities (representing the ethnic groups of the country). Under guise of governing by the socialist principles of Lenin and Marx, Stalin's Marxist–Leninist dictatorship made a police state of the USSR, unlike Lenin's socialist state of the Bolshevik period (1917–29). Extensive personal control of the men who were the Communist Party licenced Stalin to use political violence to eliminate any man or woman who might be a threat — real, potential, or imagined. As an administrator, Stalin governed the Soviet Union by controlling the formulation of national policy, but delegated implementation to subordinate functionaries. Such freedom of action allowed local communist functionaries much discretion to interpret the intent of orders from Moscow, which allowed their corruption. To Stalin, the correction of such abuses of authority and economic corruption were responsibility of the secret police, the NKVD (People's Commissariat for Internal Affairs). With the Great Purge (1936–1938), Stalin rid himself of internal enemies in the CPSU, and rid the Soviet Union of every counter-revolutionary, reactionary, and socially-dangerous man and woman who might offer legitimate, political opposition to Marxism–Leninism. In the 1937–1938 period, the NKVD arrested 1.5 million people, purged from every stratum of soviet society and every rank and file of the Communist Party, of which 681,692 people were killed as enemies of the state. To provide manpower (manual, intellectual, technical) to realise the construction of socialism in one country, the NKVD established the Gulag system of forced-labour camps for regular criminals and political dissidents, for culturally insubordinate artists and politically incorrect intellectuals, and for homosexual people and religious anti-communists. Begun in 1928, Stalin's Five-year plans for the national economy of the Soviet Union achieved the rapid industrialisation (coal, iron, and steel, electricity and petroleum, etc.) and the collectivisation of agriculture, which achieved 23.6 per cent collectivisation within one year (1930) and 98.0 per cent collectivisation within 12 years (1941). The five-year plans were prepared in the 1920s, whilst the Bolshevik government fought the internal Russian Civil War (1917–1922) and repelled the external Allied intervention to the Russian Civil War (1918–1925). As the revolutionary vanguard, the Communist Party organised Russian society to realise rapid industrialisation programs as defence against Western interference with socialism in Bolshevik Russia. During the 1930s, the rapid industrialisation of the country accelerated the Russians' sociological transition from poverty to relative plenty; from Tsarist serfdom to Communist self-determination, when politically illiterate peasants became politically aware urban citizens. The Marxist–Leninist economic régime modernised Russia from the illiterate, peasant society characteristic of monarchy to the literate, socialist society of educated farmers and industrial workers; the modernisation of Russia reduced unemployment to almost nil. In 1934, Stalin's development of Soviet society contradicted and then replaced, the social, cultural, and intellectual freedoms of Lenin's Bolshevik period. In education, Socialist progress was replaced with traditional Russian authoritarianism (harsh discipline, school uniforms, etc. ), which suppressed pedagogic experimentation and relaxed social conduct in the education of children; mental conformity, rather than intellectual liberty. Culturally, the Russian arts were subordinated to the ideological limitations of socialist realism, a form of Russian patriarchy admired by the traditionalist Stalin. The official atheism of the Soviet Union excluded organised religion from the mainstream of Soviet society and repressed any religious organisation that publicly participated in politics and opposed the official atheism. In 1933, the Marxist–Leninist geopolitical perspective was that the Soviet Union was surrounded by capitalist and anti-communist enemies; thus, the election of Adolf Hitler and his Nazi Party government in Germany initially caused the Soviet Union to sever diplomatic relations that had been established in the 1920s. In 1938, Stalin accommodated the Nazis and the anti-communist West by not defending Czechoslovakia, which allowed Hitler's threat of pre-emptive war for the Sudetenland to annex the land and "rescue the oppressed German peoples" living in Czecho. To challenge Nazi Germany's bid for European empire and hegemony, Stalin promoted anti-fascist front organisations to encourage European socialists and democrats to join the Russian Communists to fight throughout Nazi-occupied Europe. After Germany bluffed Britain into the Munich Agreement (29 September 1938), which then allowed the German occupation of Czechoslovakia (1938–1945), Stalin adopted pro-German policies for the Soviet Union's dealings with Nazi Germany. In 1939, the Soviet Union and Nazi Germany agreed to the Treaty of Non-aggression between Germany and the Union of Soviet Socialist Republics (Molotov–Ribbentrop Pact, 23 August 1939) and to jointly invade and partition Poland, by way of which Nazi Germany started the Second World War (1 September 1939). In the 1941–1942 period of the Great Patriotic War, the German invasion of the Soviet Union (Operation Barbarossa, 22 June 1941) was ineffectively opposed by the Red Army, who were poorly led, ill-trained, and under-equipped; hence fought poorly and suffered great losses of soldiers (killed, wounded, and captured). The weakness of the Red Army was consequence of the Great Purge (1936–1938) of senior officers and career soldiers whom Stalin considered politically unreliable. Strategically, the Wehrmacht's extensive and effective attack threatened the territorial integrity of the Soviet Union, and the political integrity of Stalin's model of a Marxist–Leninist state, when the Nazis were initially welcomed as liberators by the anti-communist and nationalist populations in the Byelorussian Soviet Socialist Republic, the Georgian Soviet Socialist Republic, and the Ukrainian Soviet Socialist Republic. The anti-soviet nationalists' collaboration with the Nazi's lasted until the SS and the Einsatzgruppen began their Lebensraum killings of the Jewish populations, the local communists, the civil and community leaders — the Holocaust meant to realise the Nazi German colonisation of Bolshevik Russia. In response, Stalin ordered the Red Army to fight a total war against the Germanic invaders who would exterminate Slavic Russia. Hitler's attack against the Soviet Union (Nazi Germany's erstwhile ally) realigned Stalin's political priorities, from the repression of internal enemies to the existential defence against external attack. The pragmatic Stalin then entered the Soviet Union to the Grand Alliance, in common front against the Axis Powers — Nazi Germany, Fascist Italy, and Imperial Japan. In the continental European countries occupied by the Axis powers, the native communist party usually led the armed resistance (guerrilla warfare and urban guerrilla warfare) against fascist military occupation. In Mediterranean Europe, the Communist Yugoslav Partisans, led by Tito (Josip Broz), effectively resisted the Nazi and Fascist occupation. 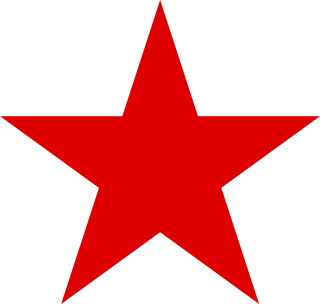 In the 1943–1944 period, Tito's Partisans liberated territories with Red Army assistance and established the Communist political authority that became the Socialist Federal Republic of Yugoslavia. In continental Asia, to end the Imperial Japanese occupation of China, Stalin ordered Mao Zedong and the Communist Party of China (CPC) to temporarily cease the Chinese Civil War (1927–1949) against Chiang Kai-shek and the anti-communist Kuomintang (KMT), as the Second United Front, in the Second Sino-Japanese War (1937–1945). In 1943, the Red Army began to repel the Nazi invasion of the Soviet Union, especially at the Battle of Stalingrad (23 August 1942 – 2 February 1943) and at the Battle of Kursk (5 July – 23 August 1943). Then repelled the Nazi and Fascist occupation armies from Eastern Europe until the Red Army decisively defeated Nazi Germany, in the Berlin Strategic Offensive Operation (16 April–2 May 1945). On concluding the Great Patriotic War (1941–1945), the Soviet Union was a military superpower with a say in determining the geopolitical order of the world. In accordance with the three-power Yalta Agreement (4–11 February 1945), the Soviet Union purged native fascist collaborators from the Eastern European countries occupied by the Axis Powers, and installed native Communist governments to establish a geographic buffer-zone of satellite states to protect the borders of the USSR. 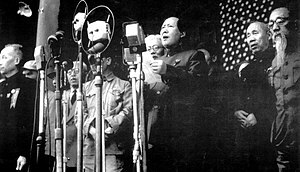 The Chinese Communist Revolution (1946–1949) concluded when Mao Zedong declared the establishment of the People's Republic of China on 1 October 1949. 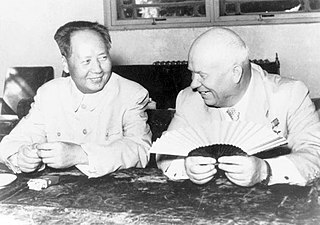 The Sino–Soviet split facilitated Russian and Chinese rapprochement with the U.S., and expanded East–West geopolitics into a tri-polar Cold War that allowed Premier Nikita Khrushchev to meet with President John F. Kennedy, in June 1961. Upon Allied victory concluding the Second World War (1939–1945), the members of the Grand Alliance resumed their expediently suppressed, pre-war geopolitical rivalries and ideological tensions, which disunity broke their anti-fascist wartime alliance into the anti–Communist Western Bloc and the Communist Eastern Bloc. The renewed competition for geopolitical hegemony resulted in the bi-polar Cold War (1945–1991), a protracted state of tension (military and diplomatic) between the US and the USSR, which often threatened a Russo–American nuclear war, but usually featured proxy wars in the Third World. The events that precipitated the Cold War in Europe were the Soviet and Yugoslav, Bulgarian and Albanian military interventions to the Greek Civil War (1944–1949), in behalf of the Greek Communists; and the Berlin Blockade (1948–1949) by the Soviet Union. The event that precipitated the Cold War in continental Asia was the resumption of the Chinese Civil War (1927–1949) fought between the anti-communist Kuomintang (KMT) and the Communist Party of China (CPC); after military defeat exiled Generalissimo Chiang Kai-shek and his KMT nationalist government to Formosa island (Taiwan), Mao Zedong established the People's Republic of China, on 1 October 1949. In Eastern Asia, the Cold War produced the Korean War (1950–1953), the first proxy war between the Eastern Bloc and the Western Bloc, resulted from dual origins: (i) the nationalist Koreans' post-war resumption of their Korean Civil War; and (ii) an imperial war for regional hegemony, sponsored by the US and the USSR. The international response to the North Korean invasion of South Korea was realised by the United Nations Security Council who voted for war — despite the absent Soviet Union — and authorised an international military expedition to intervene and expel the northern invaders from the south of Korea; and thus restore the geopolitical status quo ante of the Soviet and American division of Korea at the 38th Parallel of global latitude. Consequent to Chinese military intervention in behalf of Communist North Korea, the magnitude of the infantry warfare reached operational and geographic stalemate (July 1951 – July 1953); afterwards, the shooting war was ended with the Korean Armistice Agreement (27 July 1953); and the superpower Cold War in Asia then resumed as the Korean Demilitarized Zone. In the late 1940s, the geopolitics of the Eastern bloc countries under the hegemony of Stalinist Russia featured an official-and-personal style of socialist diplomacy that failed Stalin and Tito, when Tito said "No." to subordinating Yugoslavia to Russia. 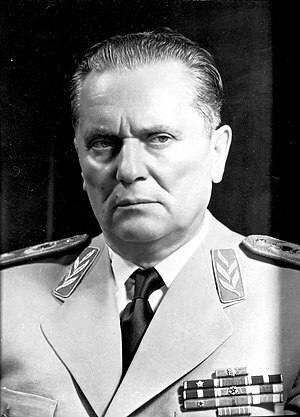 In 1948, circumstance and cultural personality aggravated the matter into the Yugoslav–Soviet Split (1948–1955) that resulted from Tito's rejection of Stalin's demand to subordinate the Socialist Federal Republic of Yugoslavia to the geopolitical agenda (economic and military) of the USSR, i.e. Tito at Stalin's disposal. Stalin punished Tito's refusal by denouncing the Yugoslav Communist leader as an ideological revisionist of Marxism–Leninism; by denouncing Socialist Yugoslavia's practice of Titoism as socialism deviated from the cause of world communism; and by expelling the Yugoslav communists from the Communist Information Bureau (Cominform). The break from Eastern-bloc Stalinism allowed the development of Titoism, socialism with Yugoslav characteristics, which allowed doing business with the capitalist West to develop the socialist economy, and the establishment of Socialist Yugoslavia's diplomatic and commercial relations with countries of the Eastern bloc and the Western bloc. Socialist Yugoslavia's international relations matured into the Non-Aligned Movement (1961) of countries without political allegiance to any power bloc. At the death of Stalin in 1953, Nikita Khrushchev became leader of the Soviet Union and of the CPSU (Communist Party of the Soviet Union), and then consolidated an anti-Stalinist government. Three years later, in a secret meeting at the 20th congress of the CPSU, Khruschev denounced Stalin and Stalinism in the speech On the Cult of Personality and its Consequences (25 February 1956) in which he specified and condemned Stalin's dictatorial excesses and abuses of power, such as the Great purge (1936–38) and the cult of personality. Khrushchev thus introduced the de-Stalinisation of the Party and of the Soviet Union, which he realised with the dismantling of the Gulag archipelago of forced-labour camps and freeing the prisoners; allowing Soviet civil society greater political freedom of expression, especially for public intellectuals of the Intelligentsia, such as the novelist Aleksandr Solzhenitsyn, whose literature obliquely criticised Stalin and the Stalinist police state. De-Stalinization also ended Stalin's national-purpose policy of socialism in one country, which was replaced with proletarian internationalism, by way of which Khrushchev re-committed the Soviet Union to permanent revolution to realise world communism. In that geopolitical vein, Khrushchev presented de-Stalinization as the restoration of Leninism as the official state ideology of the Soviet Union. In the 1950s, the de-Stalinisation of the Soviet Union was ideological bad news for the PRC, because Russian interpretations and applications of Leninism and Orthodox Marxism contradicted the Sinified Marxism–Leninism of Mao Zedong — his Chinese adaptations of Stalinist interpretation and praxis for establishing socialism in China. To realise that leap of Marxist faith in the development of Chinese socialism, the Communist Party of China developed Maoism (the Thought of Mao Zedong) as the official state ideology of the People's Republic of China. As the specifically Chinese development of Marxism–Leninism, Maoism illuminated the cultural differences between the European-Russian and the Asian-Chinese interpretations and practical applications of Leninism and Orthodox Marxism in each country. The political differences then provoked geopolitical, ideological, and nationalist tensions, which derived from the different stages of development, between the urban society of the industrialised USSR and the agricultural society of the pre-industrial PRC. The theory-vs-praxis arguments escalated to theoretic disputes about Marxist revisionism, and provoked the Sino-Soviet split (1956–1966), and the PRC and the USSR broke their international relations (diplomatic and political, cultural and economic). Consequent to the Sino-Soviet split, the pragmatic PRC established politics of détente with the US, in effort to publicly challenge the USSR for leadership of the international communist movement. Mao's pragmatism permitted geopolitical rapprochement and facilitated US President Richard Nixon's 1972 visit to China, which subsequently ended the US policy of the existence to "two Chinas", when the United States sponsored the People's Republic of China to replace the Republic of China (Taiwan) as the representative of the Chinese people at the United Nations; in the due course of Sino-American rapprochement, the PRC also assumed membership in the Security Council of the UN. In the post–Mao period of Sino-American détente, the Deng Xiaoping government (1982–1987) effected policies of economic liberalisation that allowed continual growth for the Chinese economy. The ideological justification is socialism with Chinese characteristics, the Chinese adaption of Marxism–Leninism. 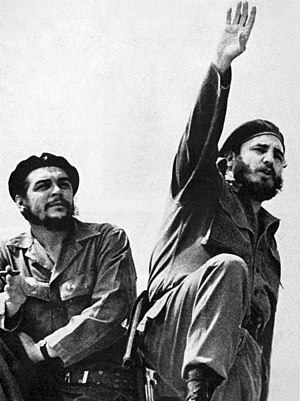 The Cuban Revolution (1956–59), led by Fidel Castro and Ché Guevara, deposed the régime (1952–1959) of Fulgencio Batista, and established the Republic of Cuba, a socialist state formally recognised by the Soviet Union. In response, the United States launched a coup d'état against the Castro government; in 1961, the CIA's unsuccessful Bay of Pigs invasion (17 April 1961), by anti-communist Cuban exiles, which attack impelled the Republic of Cuba to side with the USSR; and, in 1962, there occurred the Cuban missile crisis (22–28 October 1962), about US opposition to Socialist Cuba being armed with Soviet nuclear missiles. The US and the USSR jointly resolved the nuclear-missile crisis by respectively removing American nuclear-armed missiles from Turkey and Italy, and Soviet missiles from Cuba. In 1979, the Sandinista National Liberation Front (FSLN), led by Daniel Ortega, won the Nicaraguan Revolution (1961–1990) against the government of Anastasio Somoza Debayle (1 December 1974 – 17 July 1979); within months, the new government of U.S. Pres. Ronald Reagan sponsored the counter-revolutionary Contras in the secret Contra War (1979–1990) against socialist Nicaragua. In 1989, the Contra War concluded with the signing of the Tela Accord, and the subsequent demobilization of the Contra armies and the FSLN army. In 1990, a second national election installed to government a majority of anti–Sandinista political parties, to whom the FSLN handed political power. In 1983, the US Invasion of Grenada (25–29 October 1983 ) thwarted the assumption of power by the elected government of the New Jewel Movement (1973–1983), a Marxist–Leninist vanguard party led by Maurice Bishop. The Salvadoran Civil War (1979–1992) featured the popularly supported Farabundo Martí National Liberation Front, an organisation of left-wing parties fighting against the right-wing military government of El Salvador. In 1970, the October Crisis (5 October – 28 December 1970) occurred in Canada, a brief revolution in the province of Québec, where the actions of the separatist Front de libération du Québec (FLQ; Front for the Liberation of Québec) featured the kidnap of James Cross, the British Trade Commissioner in Canada, and the killing of Pierre Laporte, the Quebec government minister. The political manifesto of the FLQ condemned English-Canadian imperialism in French Québec, and called for a separate Québecois socialist state. The Canadian government's harsh response included the suspension of civil liberties in Quebec, which compelled the FLQ leaders' flight to Socialist Cuba. The Vietnam War (1945–1975) was the second East–West war that occurred in Asia during the Cold War. After the Việt Minh, led by Ho Chi Minh, defeated the French re-establishment of European colonialism in Viet Nam, the United States replaced France as the Western power supporting the client-state Republic of Vietnam (1955–1975). Despite military superiority, the U.S. failed to safeguard South Vietnam from the Viet Cong, the guerrilla army sponsored by North Vietnam. In 1968, North Vietnam launched the Tet Offensive, which, although a military failure, was successful psychological warfare that decisively turned international public opinion against the U.S's intervention to the Vietnamese civil war, which led to military withdrawal from Vietnam in 1973, and the subsequent Fall of Saigon to the North Vietnamese army, on 1 May 1975. Consequent to the Cambodian Civil War and in coalition with Prince Norodom Sihanouk, the native Cambodian Communists, the Maoist Khmer Rouge (1951–1999) led by Pol Pot, established Democratic Kampuchea (1975–1982), a Marxist–Leninist state that featured class warfare to restructure the society of old Cambodia; to be effected and realised with the abolishment of money and private property, the outlawing of religion, the killing of the intelligentsia and compulsory manual labour for the middle classes by way of death-squad state terrorism. To eliminate Western cultural influence, Kampuchea expelled all foreigners and effected the destruction of the urban bourgeoisie of old Cambodia, first by displacing the population of the capital city, Phnom Penh; and then by displacing the national populace to work farmlands to increase food supplies. Meanwhile, the Khmer Rouge purged Kampuchea of internal enemies (social class and political, cultural and ethnic) at the killing fields, the scope of which became crimes against humanity, which destroyed 2, 700, 000 people by mass murder and genocide. That social restructuring of Cambodia included attacks against the Vietnamese ethnic minority in Kampuchea, which aggravated the historical, ethnic rivalries between the Viet and the Khmer peoples. Beginning in September 1977, Kampuchea and the Socialist Republic of Vietnam continually engaged in border clashes. In 1978, Vietnam invaded Kampuchea and captured Phnom Penh in January 1979, deposed the Maoist Khmer Rouge from government and established the Cambodian Liberation Front for National Renewal as the government of Cambodia. In Africa, during the 1968–1980 period, Angola, Benin, and the Republic of Congo, Ethiopia, Mozambique, Somalia and Zimbabwe became Marxist–Leninist states governed by their respective native peoples; Marxist–Leninist guerrillas fought the Portuguese Colonial War in three countries, Angola, Guinea-Bissau, and Mozambique; overthrew of the monarchy of Haile Selassie and established the Derg government (1974–1987) of the Coordinating Committee of the Armed Forces, Police and Territorial Army in Ethiopia; Robert Mugabe led the successful civil war to overthrow white-minority rule in Rhodesia (1965–1979) and established Zimbabwe. In South Africa, the anti-communist, white-minority government—based upon the official racist policy of apartheid — caused much geopolitical tension between the US and the USSR. In 1976, anti-communism became morally untenable for the West when the South African government killed 176 people (students and adults) in suppressing the Soweto uprising (June 1976), which protested Afrikaner cultural imperialism, the imposition of Afrikaans (a European Germanic language) as the language for teaching school and as the language that black South Africans must speak to white people; and the police assassination of Steven Biko (September 1977), a leader of the internal resistance to apartheid in South Africa. ^ Dictionary of Historical Terms (1998) Second Edition, Chris Cook, Ed., pp. 221–222, p. 305. ^ Dictionary of Historical Terms (1998) Second Edition, Chris Cook, Ed., pp. 221–222. ^ Albert, Michael; Hahnel, Robin. Socialism Today and Tomorrow. Boston, Massachusetts, USA: South End Press, 1981. pp. 24–25. ^ Andrain, Charles F. Comparative Political Systems: Policy Performance and Social Change. Armonk, New York, USA: M. E. Sharpe, Inc., 1994. p. 140. ^ Todd, Allan. History for the IB Diploma: Communism in Crisis: 1976–89, p. 16. "The term Marxism–Leninism, invented by Stalin, was not used until after Lenin's death in 1924. It soon came to be used in Stalin's Soviet Union to refer to what he described as 'orthodox Marxism'. This increasingly came to mean what Stalin, himself, had to say about political and economic issues. . . . However, many Marxists (even members of the Communist Party, itself) believed that Stalin's ideas and practices (such as Socialism in One Country and the purges) were almost total distortions of what Marx and Lenin had said". ^ The New Fontana Dictionary of Modern Thought (1999) Third Edition, Allan Bullock and Stephen Trombley, Eds., p. 506. ^ a b Lisischkin, G. (Г. Лисичкин), Novy Mir (Мифы и реальность, Новый мир), 1989, № 3, p. 59 (in Russian). ^ "Marxism", Soviet Encyclopedic Dictionary, p. 00. ^ Bordiga, Amadeo. "Dialouge With Stalin"
^ Bordiga, Amadeo. "Theses on the Role of the Communist Party in the Proletarian Revolution". Communist International. Retrieved 25 March 2019. ^ Howard, M.C. King, J.E. "State capitalism" in the Soviet Union" Archived 2 November 2018 at the Wayback Machine. ^ Ishay, Micheline. The Human Rights Reader: Major Political Essays, Speeches, and Documents from Ancient Times to the Present (2007) Taylor & Francis. p. 245. ^ Todd, Allan. History for the IB Diploma: Communism in Crisis 1976–89, p. 16. ^ Lüthi, Lorenz M. The Sino–Soviet split: Cold War in the Communist World (2008), p.4. ^ Александр Бутенко (Aleksandr Butenko), Социализм сегодня: опыт и новая теория// Журнал Альтернативы, №1, 1996, pp. 3–4 (in Russian). ^ The New Fontana Dictionary of Modern Thought (1999), Allan Bullock and Stephen Trombley, Eds., p. 506. ^ a b c Chambers Dictionary of World History (2000), B.P. Lenman and T. Anderson, Eds., p. 769. ^ A Dictionary of 20th-Century Marxism (2006), Silvio Pons and Robert Service, Eds., p. 504. ^ a b The New Fontana Dictionary of Modern Thought, Third Edition (1999), Allan Bullock and Stephen Trombley, Eds., p. 501. ^ Shtromas, Alexander, Faulkner, Robert K, and Mahoney, Daniel J. Totalitarianism and the Prospects for World Order: Closing the Door on the Twentieth Century (2003). Lexington Books. p. 18. ^ A Dictionary of 20th-Century Communism (2009), Silvio Pons and Robert Service, Eds., p. 580. ^ Albert, Michael and Hahnel, Robin. Socialism Today and Tomorrow (1981) Boston, Massachusetts, USA: South End Press, pp. 24–25. ^ A Dictionary of 20th-Century Communism (2009), Silvio Pons and Robert Service, Eds., p. 732. ^ The Oxford Companion to Comparative Politics (2012), Joel Krieger and Craig N. Murphy, Eds. Oxford University Press, p. 218. ^ A Dictionary of 20th-Century Communism (2010), Silvio Pons and Robert Service, Eds., pp. 721–723. ^ A Dictionary of 20th-Century Communism (2010), Silvio Pons and Robert Service, Eds., p. 580. ^ A Dictionary of 20th-Century Communism (200), Silvio Pons and Robert Service, pp. 854–856. ^ A Dictionary of 20the-Century Communism (2009) Silvio Pons and Robert Service, Eds., p. 317–319. ^ A Dictionary of 20th-Century Communism (2010) Silvio Pons and Robert Service, Eds., pp. 250–251. ^ A Dictionary of 20th-Century Communism (2010) Silvio Pons and Robert Service, Eds., p. 581. ^ Thrower, James. Marxism–Leninism as the Civil Religion of Soviet Society E. Mellen Press, 1992. p. 45. ^ Kundan, Kumar. Ideology and Political System (2003) Discovery Publishing House, 2003. p. 90. ^ "Materialistisk dialektik" Archived 23 September 2017 at the Wayback Machine. ^ Jordan, Z. A.The Evolution of Dialectical Materialism (1967). ^ Ginzburg, Vitalij Lazarevič, On Superconductivity and Superfluidity: A Scientific Autobiography (2009) p. 45. ^ a b c Penguin Dictionary of International Relations (1998), Graham Evans and Jeffrey Newnham, Eds. pp. 316–317. ^ Dictionary of Historical terms (1998), Chris Cook, Ed., p. 221. ^ Vladimir Lenin (1906). "Report on the Unity Congress of the R.S.D.L.P." Retrieved 9 August 2008. ^ a b c Bottomore, p. 54. ^ a b c Bottomore, p. 259. ^ a b Anderson, Kevin. Lenin, Hegel, and Western Marxism: A Critical Study (1995) Chicago, Illinois, USA: University of Illinois Press, p. 3. ^ Penguin Dictionary of International Relations (1998), Graham Evans and Jeffrey Newnham, Eds., p. 317. ^ Cavanagh Hodge, Carl. Encyclopedia of the Age of Imperialism, 1800–1914, Volume 2 (2008) Westport, Conn., USA: Greenwood Publishing Group, Inc. p. 415. ^ Beckett, Ian Frederick William. 1917: beyond the Western Front (2009) Leiden, The Netherlands: Koninklijke Brill NV. p. 1. ^ a b Lee, p. 37. ^ a b c d e f Lee, p. 38. ^ Dictionary of Historical Terms Second Edition (1998), Chris Cook, Ed., p. 306. ^ a b Lee, p. 39. ^ a b Lee, p. 41. ^ A Dictionary of 20th-Century Communism (2009). Silvio Pons and Robert Service, Eds., pp. 477–78. ^ a b Lee, pp. 41–42. ^ a b c d e f g h Lee, p. 43. ^ "Aleksey Ivanovich Rykov biography —Archontology". Archived from the original on 12 June 2018. Retrieved 1 March 2018. ^ a b c d Lee, p. 49. ^ a b c d Lee, p. 47. ^ A Dictionary of 20th-Century Communism (2009), Silvio Pons and Robert Service, Eds., p. 447. ^ a b Lee, p. 62. ^ a b c Lee, p. 63. ^ a b c Lee, p. 74. ^ a b Lee, p. 81. ^ Dictionary of Historical Terms, Second Edition, Chris Cook, Ed. pp. 69–70. ^ Dictionary of Wars Third Edition (2007) George Childs Kohn, Ed., p. 216. ^ Dictionary of Wars Third Edition (2007) George Childs Kohn, Ed., pp. 121–22. ^ Dictionary of Wars Third Edition (2007) George Childs Kohn, Ed., pp. 291–92. ^ A 20th-Century Dictionary of Communism (2006), Silvio Pons and Rbvert Service, Eds. p. 800. ^ A 20th-Century Dictionary of Communism (2006), Silvio Pons and Robert Service, Eds. p. 585. ^ The Cold War: The United States and the Soviet Union, 1917–1991, by Ronald E. Powaski. Oxford University Press, 1997. ^ Priestland, David. The Red Flag: A History of Communism (2009), pp. 502–503. ^ Dictionary of Wars Third Edition (2007) George Childs Kohn, Ed., p. 148. ^ Dictionary of Historical Terms Second Edition (1989) Chris Cook, Ed., pp. 88–89. ^ The New Fontana Dictionary of Modern THought Third Edition (1999), Allan Bullock and Stephen Trombley, Eds., p. 458. ^ Dictionary of Historical Terms, Second Edition (1998) Chris Cook, Ed., pp. 13–14. Ree, E. Van (March 1997). "Stalin and Marxism: A Research Note". Studies in East European Thought. Springer. 49 (1): 23–33. JSTOR 20099624. Daniels, Robert Vincent (2007). The Rise and Fall of Communism in Russia. Yale University Press. ISBN 0300106491. Bottomore, T. B. A Dictionary of Marxist Thought. Malden, Massachusetts, USA; Oxford, England, UK; Melbourne, Victoria, Australia; Berlin, Germany: Wiley-Blackwell, 1991 ISBN 0631180826. Lee, Stephen J. European Dictatorships, 1918–1945. 2nd edition. London, England, UK; New York, New York, USA: Routledge, 2000 ISBN 0415230462. Pons, Silvo and Service, Robert (eds.). A Dictionary of 20th Century Communism. Princeton, New Jersey, USA; Oxfordshire, England, UK: Princeton University Press ISBN 0691154295. Ulam, Adam Bruno. The Bolsheviks: The Intellectual and Political History of the Triumph of Communism in Russia. Harvard University Press, 1965, 1998 ISBN 0674078306. Alexander Spirkin, Sergei Syrovatkin (1990). Fundamentals of Philosophy. Moscow. Progress Publishers. In Marxist philosophy, the dictatorship of the proletariat is a state of affairs in which the working class hold political power. Proletarian dictatorship is the intermediate stage between a capitalist economy and a communist economy, whereby the government nationalises ownership of the means of production from private to collective ownership. The socialist revolutionary Joseph Weydemeyer coined the term "dictatorship of the proletariat", which Karl Marx and Friedrich Engels adopted to their philosophy and economics. The Paris Commune (1871), which controlled the capital city for two months, before being suppressed, was an example of the dictatorship of the proletariat. In Marxist philosophy, the term "Dictatorship of the bourgeoisie" is the antonym to "dictatorship of the proletariat".